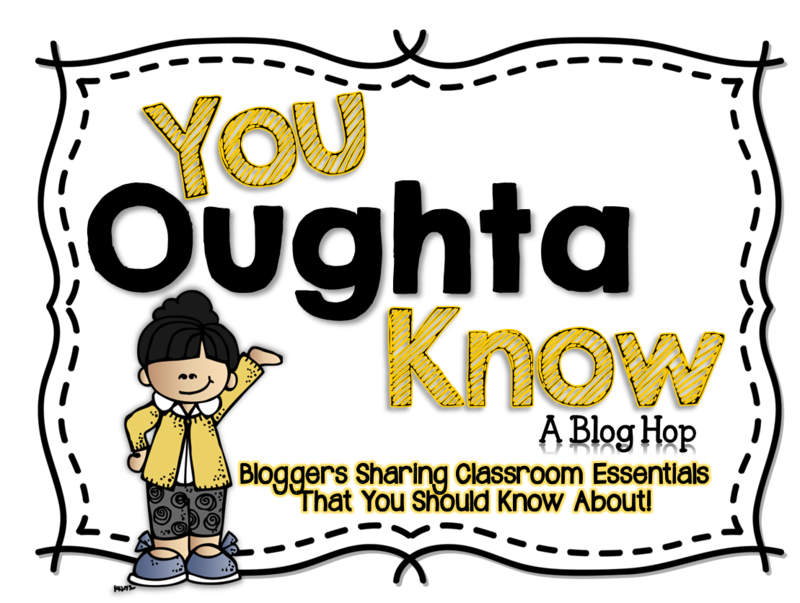 Today I'm joining forces with Jasmine from Buzzing With Mrs. McClain and some other blogging friends to bring you a classroom idea that I think you oughta know about! 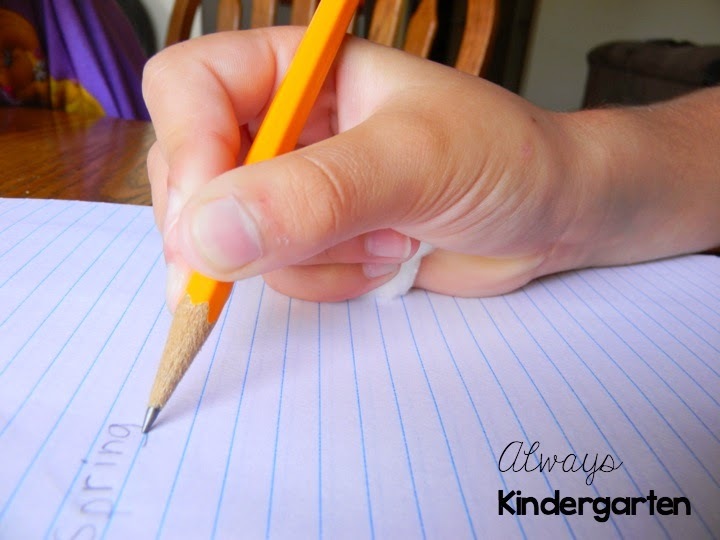 Do you have students who hold their pencils like this? Eeeekkk! It can be such a battle to get my kinders who have these inefficient pencil grips to change their habits. Then 2 years ago, one of my coworkers attended a conference session led by Dr. Marianne Gibbs of Write Out of the Box, and came back to share this fabulous idea of the Finger Pillow! A finger pillow can be anything small for the student to hold. 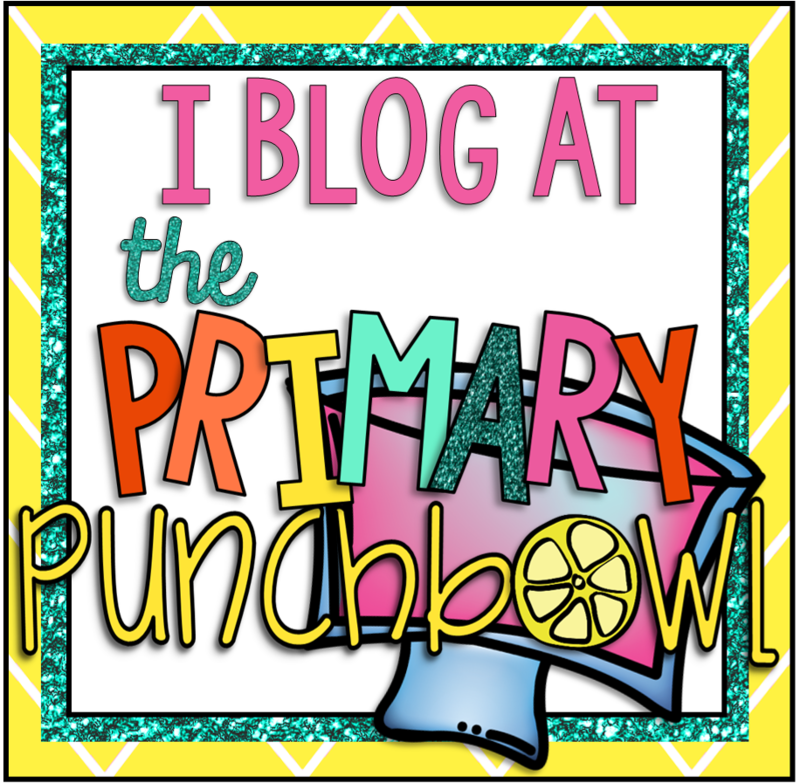 I use cotton balls or different sized pom poms depending on the needs of the student. The idea is that some of the fingers are "busy" and others are "sleeping" while you are writing. This teaches the student to hold their pencil with a more efficient grasp, increasing fine motor strength and increasing stamina. 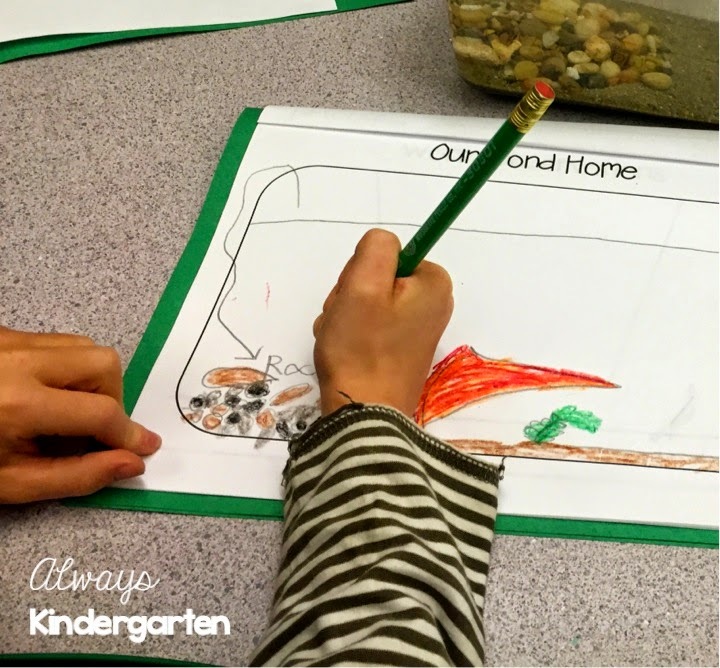 The Finger Pillow really helps my kinders to keep those "sleeping fingers" off of the pencil. 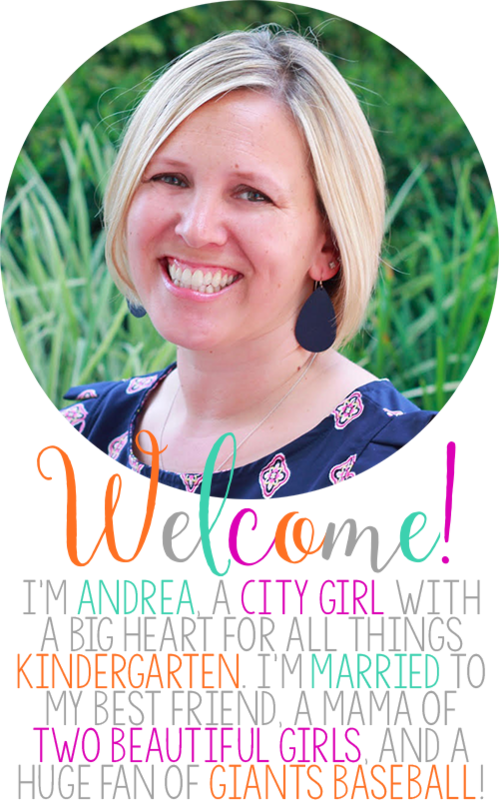 It can take some time to get used to and some kiddos may get a little frustrated at first. I try to introduce the my little writers to the Finger Pillow during Writer's Workshop. It then becomes a tool that anyone can use when they choose to use it. It has really helped those who needed it to correct their grip! Hi! I had to delete my previous comment due to a typo. Wish I could delete my delete :) Sorry. Wow! I LOVE this idea! 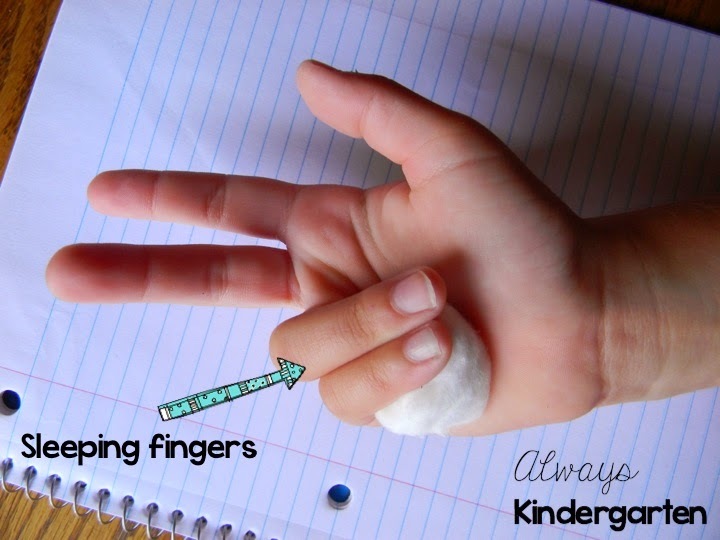 I still have 3 students who start their writing with their hands in a fist around the pencil or crayon. I always have to walk by them and say "How do you hold a pencil?" Then, immediately they grab a pencil with a grip or put their fingers in the tripod grip. I am SOOOOO showing them this method on Monday. Thanks for sharing. This is brilliant! Thank you for sharing this. I hate that handwriting isn't stressed like it once was, but as a first grade teacher, it is very important to me. 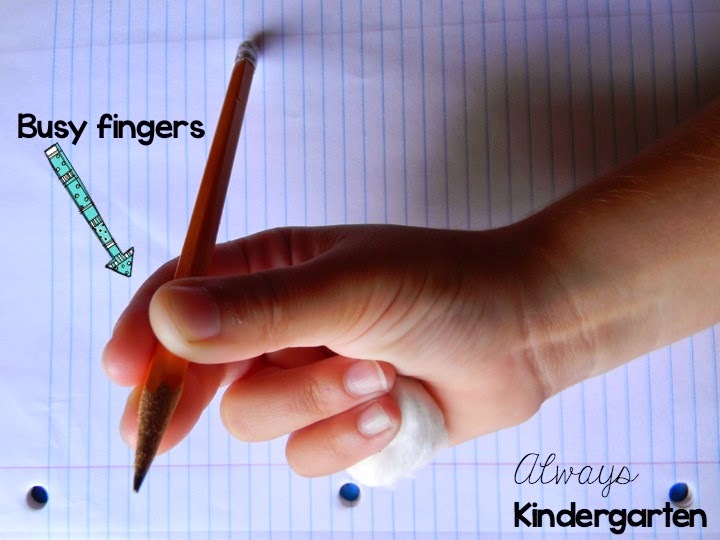 I do have some firstie friends that struggle with holding their pencils properly. This is a great tip to help them!